The Andrews government will double the foreign property buyers’ Stamp Duty surcharge and triple the State Land Tax surcharge in the forthcoming Victorian budget – evidence they well understand the damage rent-seeking creates and how to change behavior. Our very bad taxes give preferential treatment to property – notably land rents – and fall overwhelmingly on wages, so foreign landowners pay very little for the privilege of obliging Australian citizens to live and work as tenants in their own country. This change is large enough to oblige a full recalculation by foreign landowners of their investments in Victoria. It imposes real costs on those who would spend Australia’s economic rents in London, New York or Hong Kong. Until now, policy moves to dampen Australia’s land bubble have been timid to avoid being blamed for the inevitable price correction. 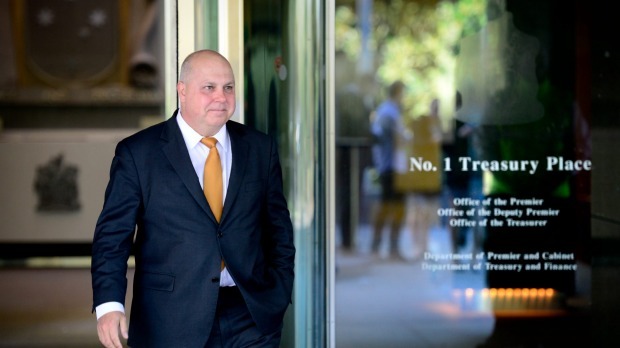 Victorian Treasurer Tim Pallas has no such fears. An absentee owner surcharge of 3 per cent on SD and 0.5 per cent on SLT were introduced in the last budget, with “little impact on foreign demand for Victorian dwellings,” according to the Premier’s media release today. These charges rise to a 7 per cent SD surcharge and 1.5 per cent SLT surcharge. Treasury estimates the measures will raise $486 million over four years – and not a cent paid by Victorians. This is just a glimpse of what is possible if we reform our taxes onto land. “As of 1.7.2015 the Victorian State Revenue Office requires all transferees (buyers) of property to sign and submit a Form 62 Purchaser Statement. This form documents the nationality or citizenship status of all buyers of all property and land within the state. It enables the SRO to identify whether the buyer/transferee “is a foreign purchaser of residential property as an additional duty of 3 per cent will apply to these transactions.” The form looks thorough. It includes separate sections for property bought by foreign corporations and trusts. Individuals must give chapter and verse including name, address, country of citizenship, dob, phone and email contacts, etc. Correction: An earlier version of this post had the SD surcharge at six per cent, not seven. Sorry.